This month’s theme has been Fighting Fear! 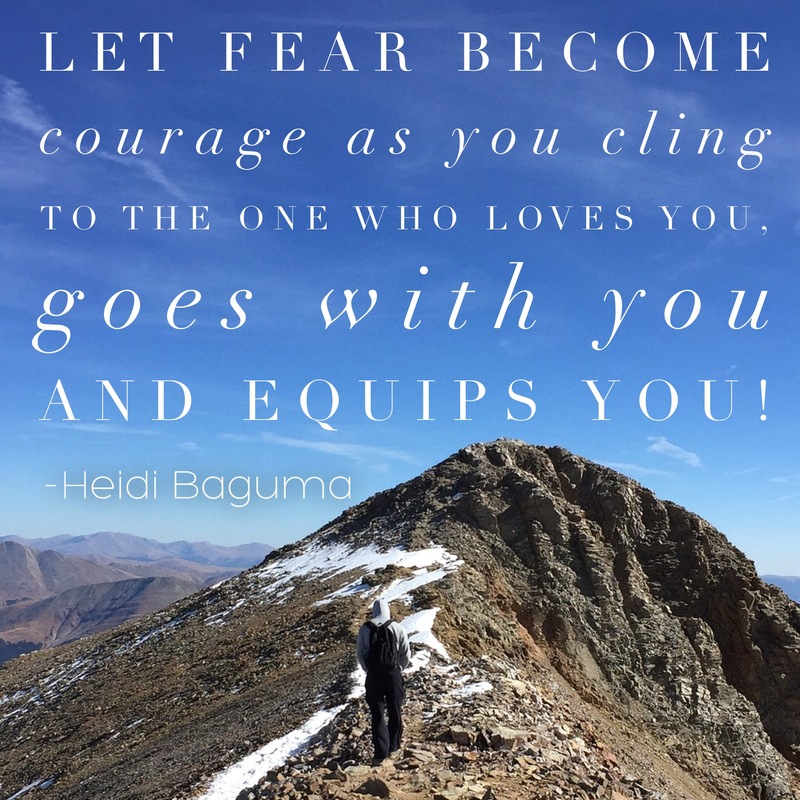 Today, my dear friend, Connie, is sharing her thoughts on fear. Connie is one of my heroes. 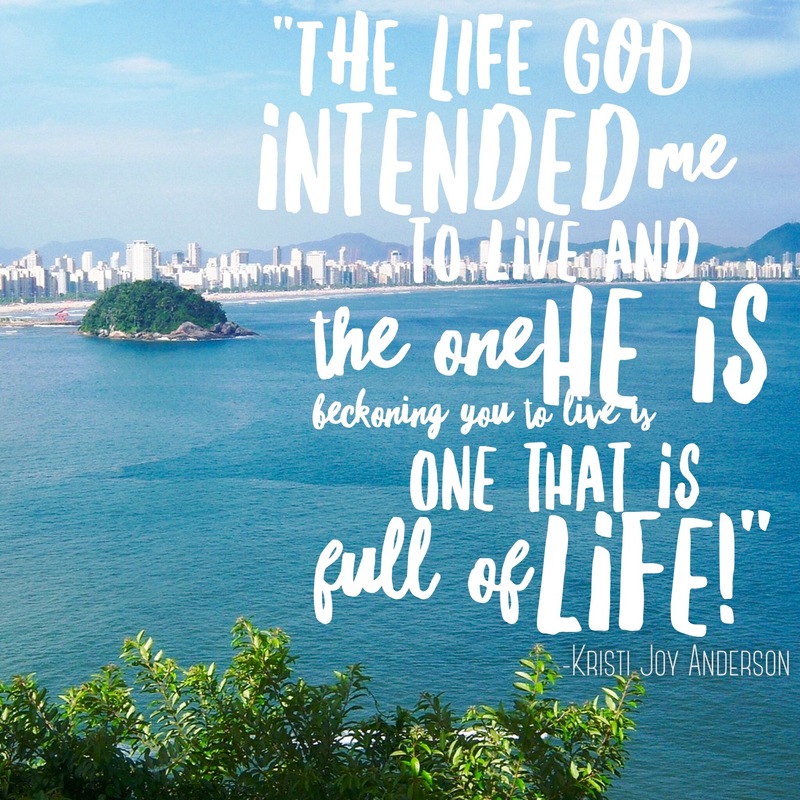 No matter what she goes through, she strives to be more like Christ and it is evident. To be truthful, she is more like a sister to me than anything else. I know you will enjoy her thoughts today :)! I’ve been thinking about fear this week, and how my sin is often rooted in fear. 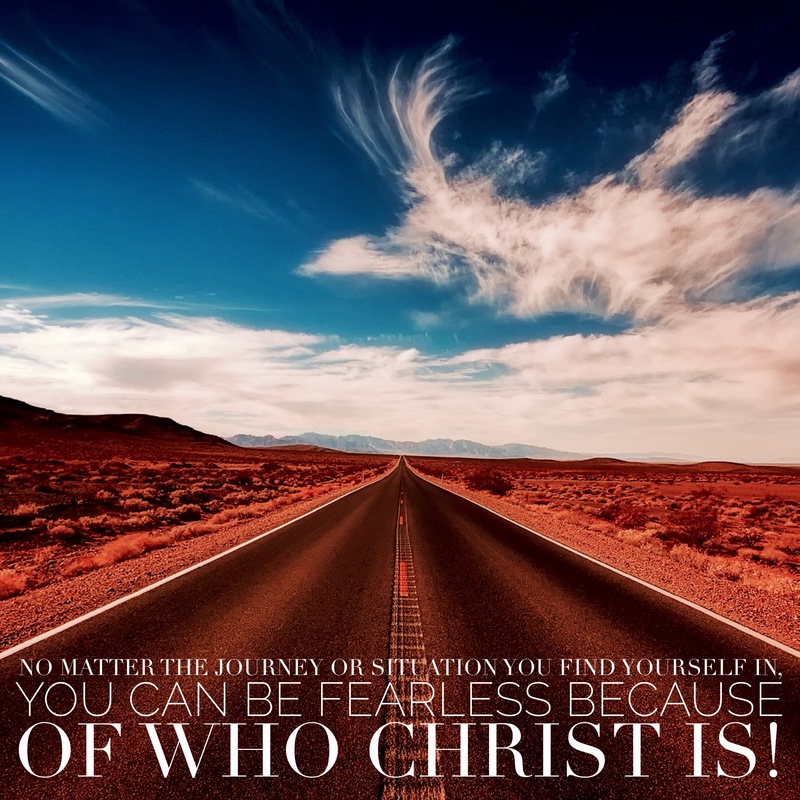 And do you know that the Bible commands – commands – me to not fear, not be afraid, and fear not over 100 times? So, fear is a sin, and apparently, one that is common enough and serious enough that God reminds us over and over again to just NOT DO IT. And I think one reason for that is that fear has a lot of power to cut us down, cripple us, and make us forget who we are. 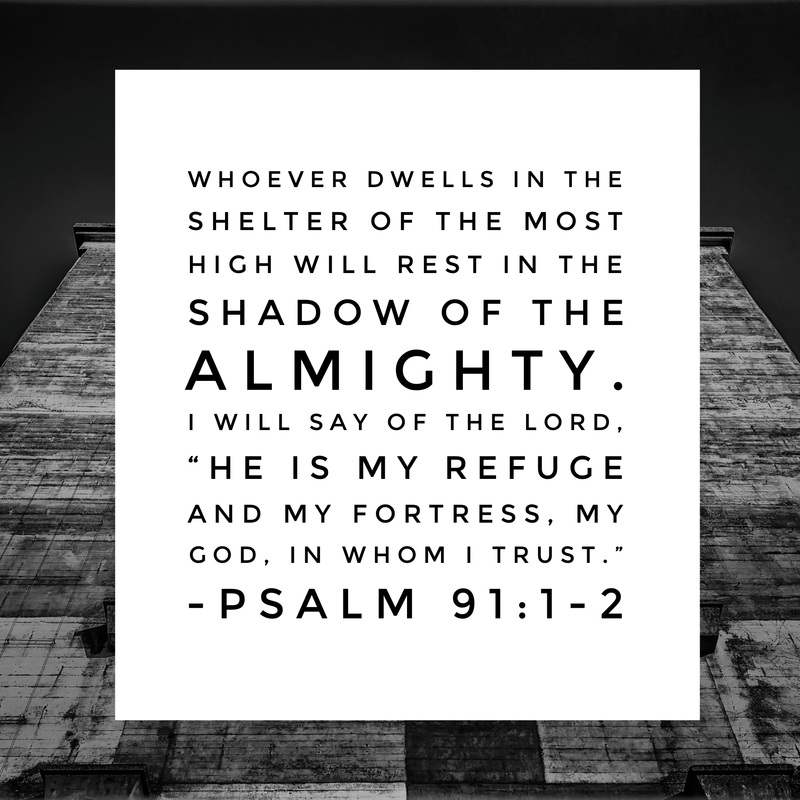 It’s a stronghold that has a very… strong hold. So what’s the opposite of fear? If I choose not to fear if I give my fears to God and sacrifice them on the altar of my heart, what will replace it? One of my craziest fears is that if I let go of my fear, I’ll not have anything left… but I know this is a lie because God never leaves a void in us. Emptiness is meant to be filled by him. So how does he fill the newly-vacant throne of fear? The words that He revealed to me were these: Joy, Trust, Hope, Grace, Peace, Freedom, and Love. So this week I feel like my prayers are stronger… instead of just asking God to wrench fear from my hands, I’ve been asking him for an exchange – my fears for his hope; my fears for his joy, my fears for his peace… It seems like an unfair trade, but his resources are endless and he is so generous, I don’t think he minds. In fact, I get the feeling he is pleased… And guess what is starting to fill up my heart?! I met Emily through a mutual friend. We used to work at the same company. If I am being completely honest, I was a little jealous that she got to work on the same floor as my friend. They were always around each other, but they never made me feel left out. As we all started hanging out, I loved how down to earth Emily is. She also is a fan of Anne of Green Gables and that always means you know how to be a kindred spirit ;). Emily is someone who I admire a lot. She is courageous, kind, thoughtful, and beautiful in every way! Emily, thank you for taking the time to share your story with us! If you had approached me when I was a kid and had asked me, “What are you afraid of?” I would’ve responded in a snap with, “absolutely nothing.” Well, in all honesty, I might’ve said cockroaches! But that was truly about it! Flash forward to now, and if you were to ask me again, “What are you afraid of?” I could give you a laundry list! An odd thing happened to me after my daughter was born… everything became scary. All of the questions, the potential for danger, it all started running through my head. What if she gets hurt doing this or that? What if something happens to me? What if I don’t meet all of her emotional and physical needs? The list is endless. It can be exhausting. Recently, something happened with my daughter that really shook my core. I felt REAL FEAR. A fear of losing our bond, a fear of being inadequate, a fear of not being able to fix things. As I cried out and prayed to God, I was led to read a devotion. In this devotion was the story of Abraham and Isaac. A story that I have read and heard my entire life, one that has always been so abstract for me. However, this time it was different. God was using Abraham’s example to teach me. Oftentimes, when people cite the story of Abraham and Isaac, they focus on the lesson of obedience and faith. Reading this story that night, I felt like I could understand Abraham for the first time in my life, I saw Abraham the man and father. 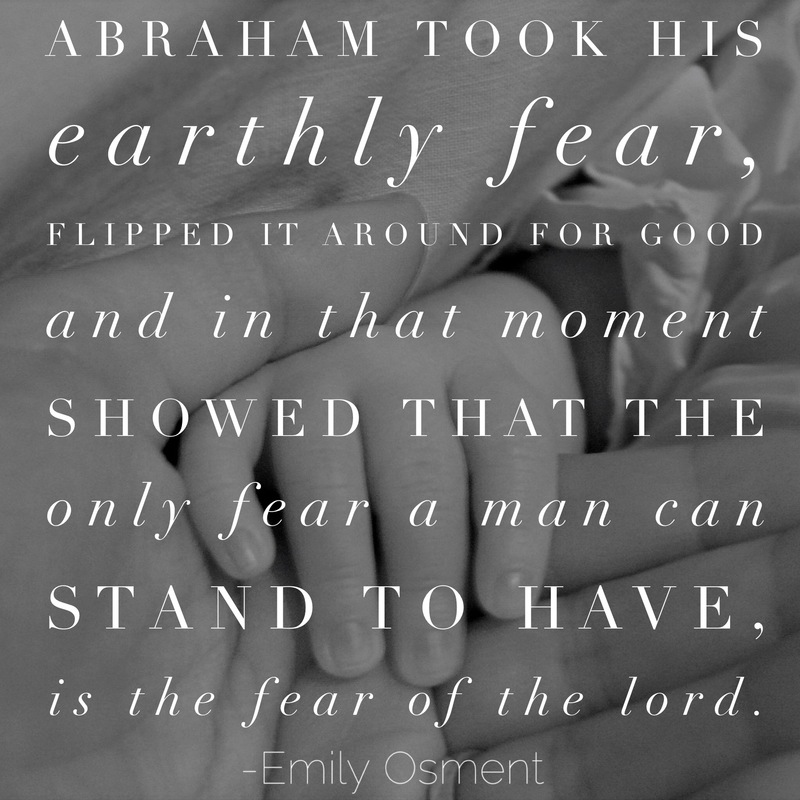 I can only imagine the fear Abraham felt, the fear of losing God’s greatest blessing to him, his treasured son. Yet despite being terrified of loss, Abraham faithfully presented Isaac to the Lord as a sacrifice. Abraham took his earthly fear, flipped it around for good and in that moment showed that the only fear a man can stand to have, is the fear of the Lord. This month I have been focusing on the topic Fighting Fear. Today’s blog comes from one of my dearest friends. She and I met in Bible college, and have remained dear friends. Our main communication has been through handwritten letters- yes, letters! We have written back and forth for over 10 years now. We have seen each other through ups and downs. I am so grateful for her. She has been someone who has always spoken truth to me, even if it hurt. Here is Lyndi’s story on fighting fear. My fear may seem silly to you, or maybe it is quite common –childbirth. The fear was not there at first. It was slowly confirmed after having three kids. When we had our first child, my husband and I walked into the hospital (induction appointment) looking like we had just left the wedding chapel and we were going on our honeymoon (complete w/ family snapping photos of us) Oh, so naïve – right? One thing I know now is: You may not be able to hinder pain from entering your life – pain comes from without (even if it’s inside your body like giving birth). But FEAR comes from within. Aha! There is something you can do about that. 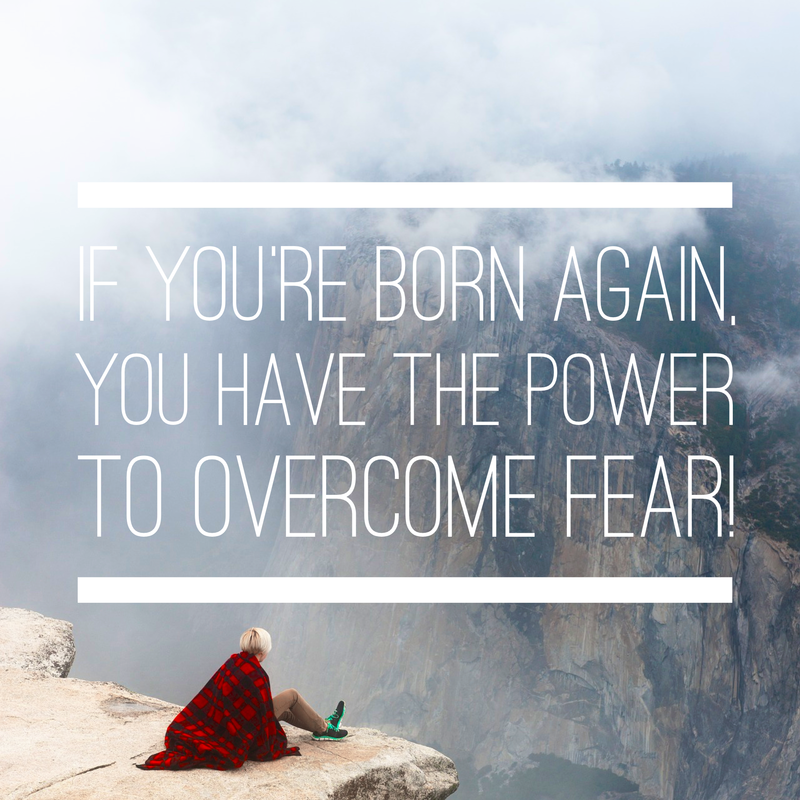 2 Timothy 1:7 “For God has not given us the spirit of fear: but of power, and of love, and of a sound mind.” If you are born again, you have the power to overcome fear. God so graciously introduced me to a book about childbirth. It educated me on what happens to my body during birth, how women gave birth in previous centuries and other countries. How birth has changed over the centuries. I read lots of birth testimonies, many different scenarios. All sorts of information (truth) were in this book! I sure was enlightened! (And then I enlightened my husband) I didn’t feel anxious about the approaching birth anymore. I was actually excited!! What?? A couple of things I did that I had not done before are: walked through the birth experience in my mind and prepared myself to accept the pain. I was going to look at it as my body doing a beautiful work instead of as a semi-truck coming to demolish me. 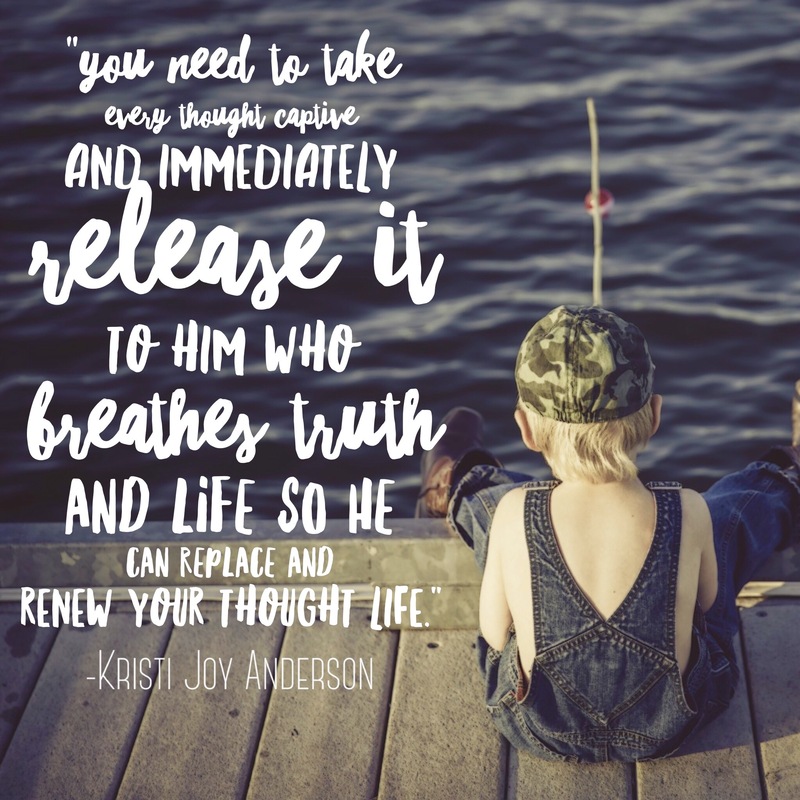 I was going to speak truth to myself during hard moments like, “God designed you for this”, instead of being silent and actually losing my mind. Of course, I spent much time in prayer in the months and weeks approaching the birth. And….. It was perfect. It was wonderful! 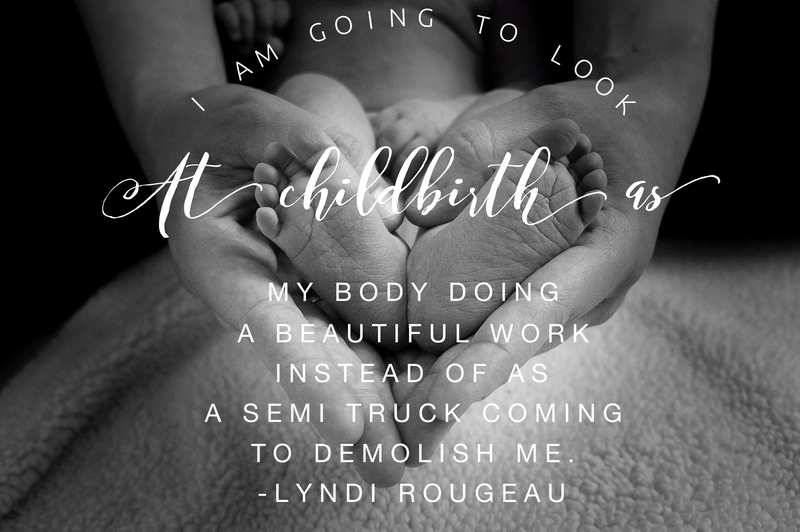 My husband and I were alone in our camper laboring quietly together before the midwife arrived. When she got there, there were 45 minutes left of pushing before we met our beautiful 10-pound daughter. I never felt rushed or scared. Did I achieve the euphoric painless birth like some women have?? No! It still hurt really bad, but that is not what stands out in my mind anymore. What do you think made the difference? I know the truth is what made the difference. It helped me approach and be in the situation in a completely different way. I hope that this encourages someone to identify any fears in your life. And ask God to shine the light (truth) on those situations so you can view them differently. I do not remember the day I met Katie. So many of my childhood memories have her in them. We grew up in the same church. Our parents were in leadership. Katie and her family have impacted me in ways I never knew possible. Their faith through the hardest of times challenged me. They suffer well and love well. It is truly an honor to have her write a piece of her story for us. There are times in life when your circumstances can become overwhelming; when it’s easy to lose sight of the things you’ve always known to be true, and fear comes rushing in to fill the void. February 11th, I went to surprise my mom at her house. My dad was sick, so I just wanted to pop in and see if she needed any help. My dad suffered a disease that was an autoimmune vascular illness that attacked his organs and severely compromised his immune system, so every cold or flu he got had to be taken seriously. By the time I reached their home, it was clear we were going to have to take him to the hospital. I stayed with them for a couple of hours until other family came to be with my mom, and then I left for home. We’d been through this many times before, so I was confident that once my dad had gotten some liquids and the antibiotics he needed from the IV that he would be fine. I was wrong. Two weeks later, he was dead. The night I got home from taking him to the hospital, my sister called me around midnight. Not only was the IV not helping him bounce back like usual, but his test results were so bad, they immediately intubated him and rushed him to the Critical Care Unit of the hospital. I didn’t sleep after that. I wanted to go back to the hospital, but it was a forty minute drive, and my kids were sleeping, and what was I really going to do? My mind was racing. Was this it? Was this the time I had been fearing since I was fifteen when he was first diagnosed? Was he in pain? Was he aware of what was happening? How was my mom? Most of those thirteen days were sleepless for me. When I did sleep, I just had nightmares about what was happening. It felt like a rollercoaster; up and down, slight improvement, then a setback, constant nausea in the pit of my stomach. All I wanted was for him to be healed or for God to take him home. I didn’t want to put him in hospice. I didn’t want to make that choice. Would he even want the extreme measures we were already taking just to keep him alive? How could we possibly know what to do? I had so much fear in my heart. Fear that he would die, fear that he would live but as a vegetable, fear that we would have to decide to put him in hospice. It became clear that my dad was not going to recover. He hadn’t been conscious once since we brought him to the hospital, his heart was damaged, his kidneys weren’t working, his lungs had multiple infections. One night as I was home, my brother, Billy, called me. He told me that the doctors set up an appointment for our family to speak with the hospice center the following morning. It was time to make that decision. The thing about it was, if we chose to do this, they would extubate my dad. They would take out the machine that was giving his lungs breath. I didn’t want to do it. It was too awful. Billy knew that I was struggling, and so he spoke truth into my life. He reminded me of the God we serve. He reminded me that if God wanted my dad to keep breathing, if there was more for my dad here on earth, that He would give his lungs the air that they needed. He also spoke about how there was nothing my dad wanted more than to tell others about God, to point them to the God that we all so desperately need, and that if he could choose a way to go, he would have chosen a way that made all of us lean into God and come to understand Him in a deeper, more meaningful way, exactly like what was happening right now. What broke through to me the night Billy and I were on the phone was that the entire time my eyes were in the wrong place. I wasn’t thinking about who God was or what He could do, I was thinking about the doctors and the machines and trying to simply weigh the pros and cons of our choices. I had become myopic, only able to see what was right in front of me. God never promised us easy, pain-free lives. What He promised was to always be there and to work good from each situation, and as devastating as this situation was, He was there bringing us peace and comfort. He was there when people brought us food at the hospital. He was there when my friends were texting and calling, checking in on me. He was there by giving us each other, a family strongly knit together, who know how to be each other’s shoulders to cry on and also how to joke until we’re crying from laughter. My family knew I was the last one to be okay with hospice, so they were talking about how to approach me. Billy spoke up and said that he felt God was telling him he needed to be the one. God was there as he orchestrated the conversation I was in need of to go forward with making the right decision. The following night we put my dad into hospice. Two days later, February 24th, he passed. My dad always told me that every good gift in life is from God and that God only gives good gifts. 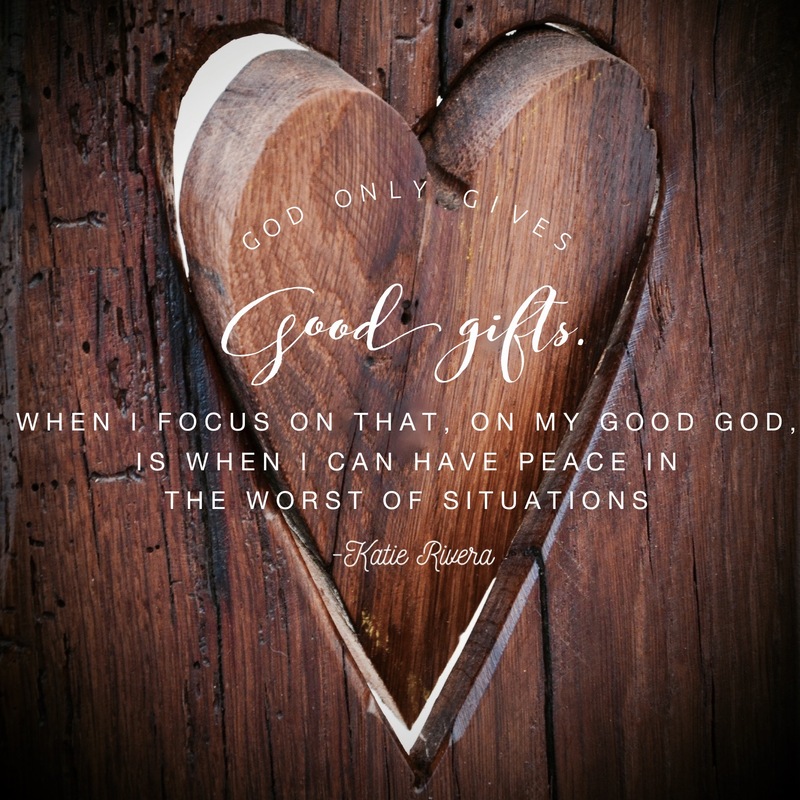 When I focus on that, on my good God, is when I can have peace in the worst of situations. The Bible says that perfect love casts out fear, and the more that I lean into His love, remember how He has been good to me in the past, look at the ways He is currently blessing my life, and expect Him to do the same tomorrow, the more my fear fades into the background.